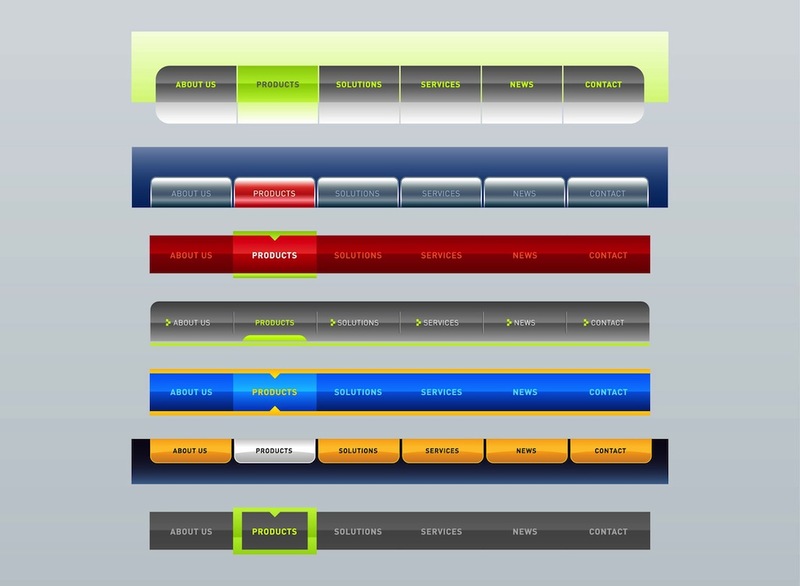 Internet vector images of different navigation menus for websites. Interface graphics with different colors, shapes and styles. Website bars with many tabs: about us, products, solutions, services, news and contact. Free vector templates for company websites. Download bars for internet and web visuals. Tags: Bars, Buttons, Interface, Internet, Navigation, Online, Sites, Tabs.